Swift Microwave Therapy for treatment of Veruccae and Warts. 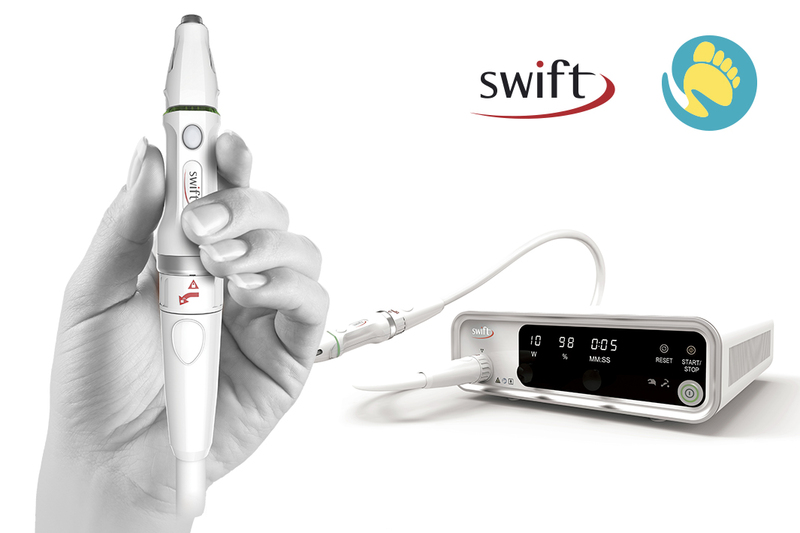 Swift is a new technology developed in the UK for the treatment of lesions on the skin, it is used mostly in podiatry for the removal of Veruccas and Warts. It is especially effective for the removal of stubborn verucca where other treatments have failed. Like many treatments for verucca or warts there may be some minor discomfort. Swift uses microwave energy which is delivered through a special probe, there is no need for anesthetics, the treatment is quick (lasting only a few seconds) and there is no need for dressings after. 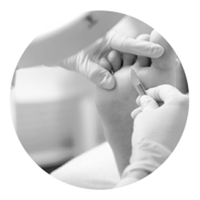 Pain levels vary from person to person but most people having Swift treatments liken it to the pain of an injection or a scratch. The protocol for Swift treatment is 3 treatments, 4 weeks apart and a follow up appointment 12 weeks after the final treatment. Treatment success was achieved by 83% of patients following these guidelines. As each individual case is different some patients required further treatment after the 12 week period. Will I be able to return to normal activity after treatment? Yes, you can do everything as normal after your treatment. You can where your regular footwear, swim or go to the pool or beach. What is the success rate of Swift Microwave Therapy?